The Van Gogh’s Ear Experience at Libraries Around the World! 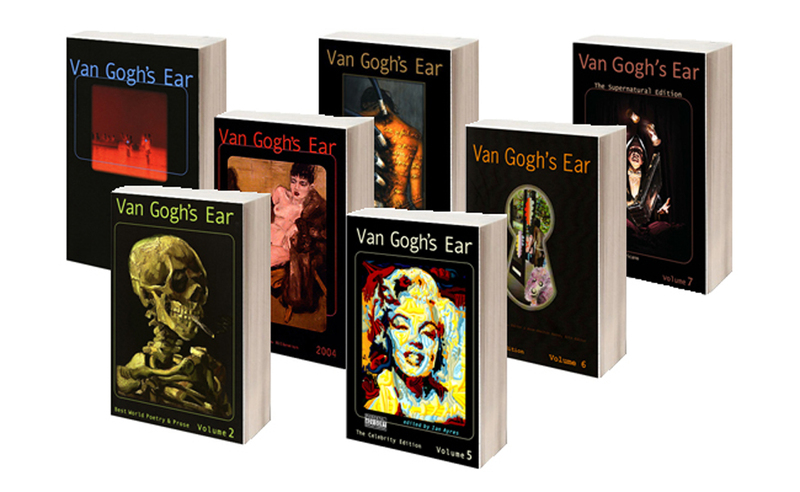 Carried at libraries and other fine establishments worldwide, the Van Gogh’s Ear anthology series offers works from some of the most innovative minds on the planet and imaginative freedom for creative people of all walks of life. As a thank you to those who offer “the complete Van Gogh’s Ear experience” we will be listing your locations. If you are not yet listed and carry the series, please do send us an email so we can include you as well? Our deepest gratitude to our readers and all of you who do carry the series, helping to encourage a greater appreciation for the arts in every form.